What Are the Different Types of Food Additives? 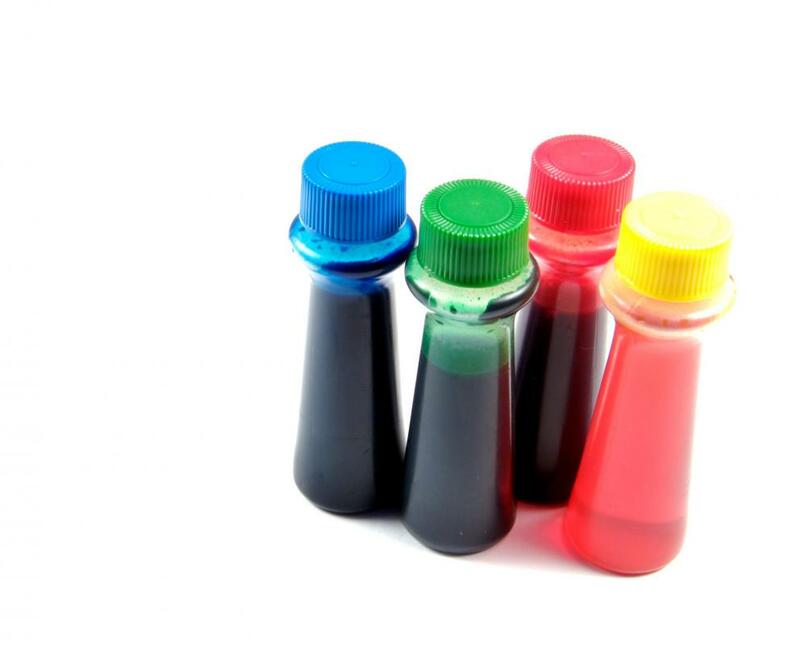 Food coloring dyes contain additives. 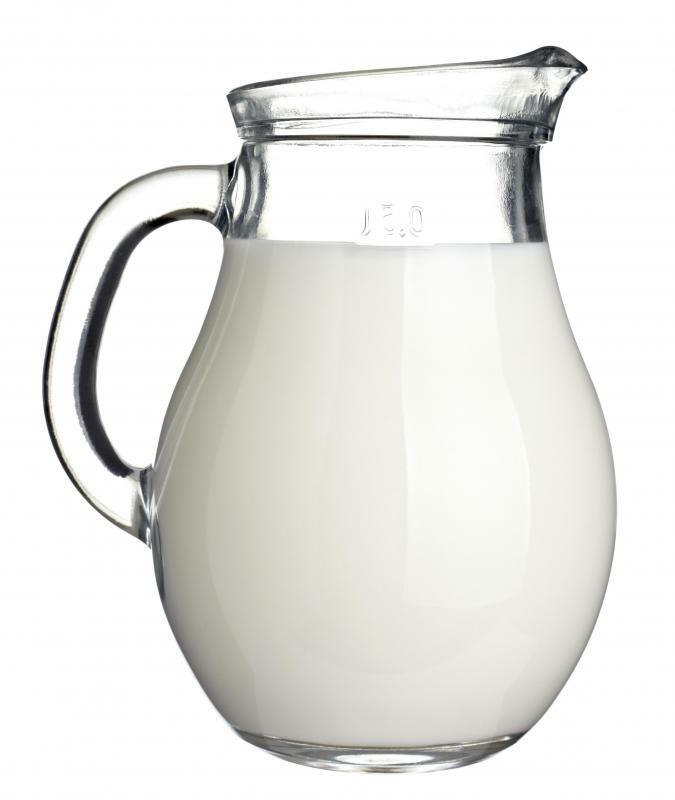 Titanium dioxide is used in some dairy products, including milk, in order to enhance the white color. There are many types of additives used in the production of different foods. In general, these are intended to modify or enhance some aspect of the food, either to make it more appealing to eat or to make it last longer so it can be stored or transported, though certain types are used to modify the chemistry of some foods and affect the final product. The different types of food additives can be loosely grouped into a few categories according to what they affect, including appearance, taste, texture, preservation and chemistry of the food. Some food additives are designed to enhance the appearance of the food so it looks more appetizing, looks more like the product is expected to look, or reflects some part of a company’s marketing identity. These additives include food colorings, which can be natural or artificial and make a food a color that it usually is not, and color retention chemicals that can help a food to keep its natural color after being processed. Glazing agents also can be used to provide a glossy or sugary surface that is stable. Certain types of food additives are included to help preserve a food so it will remain fresh for a longer period of time on the shelf or in a pantry. This type of additive includes preservative chemicals that can help to ward off bacteria and molds that could ruin the food, and ingredients that raise the acid content of the food so any bacteria already present is destroyed. A glazing additive also can help to preserve food by sealing off the surface and preventing air from penetrating the food. Antioxidant additives are incorporated into foods that have oils or other elements that could go rancid if exposed to the air; they slow down or prevent oxygen from bonding with the molecules of the food. A wide range of food additives are used to add taste to some foods that might have lost flavor or intensity during the preparation or packaging process. Flavor enhancers such as monosodium glutamate (MSG) add salt-like additives or other ingredients that are intended to help make the natural flavors of the food stand out. Some additives boost flavors without having to deal with the complications of incorporating the natural ingredient, such as using a lemon flavoring instead of adding actual lemon juice that could affect the acidity of the product. The texture of the food also can be modified with different types of food additives. Humectants are common in baked goods and are used to keep a product moist and prevent it from drying out over time. Anti-caking additives help powdered or shredded products to stay separated instead of clumping. Stabilizers and thickeners can be used to develop the texture of a mixture, especially liquids. Finally, there are a variety of types of food additives that are meant to assist in the chemical processes necessary to quickly create foods of a consistent quality. These include emulsifiers that can bind two ingredients that otherwise would not mix, such as oil and water in salad dressings. Bulking agents can be used to increase the volume of foods without reducing any of the original nutrients. Acidity regulators are used to increase or decrease the amount of acid in a product so it can be better preserved, have more of an acute flavor or to reduce the tang from acids such as vinegar. What Strange Additives Can Be Called "Natural Flavoring"? What Are the Benefits of Food Additives?